In medium bowl, combine 1/4 cup of the chicken broth and the gelatin with a wire whisk until it's well incorporated. Place the quinoa and the rest of the chicken broth in a medium pot over medium heat and cook for 10 to 15 minutes, stirring occasionally or until it is soft and the broth has evaporated. Once ready, add the olive oil and carefully mixing it with a fork. Set aside. In large bowl, combine the turkey, quinoa, oil, soy sauce, Worcestershire sauce, adobo, garlic, salt, pepper and the gelatin mixture. Mix together. Cover and refrigerate for 20 minutes. Divide the turkey mixture into 10 equal portions. Use your hands to shape each portion into a ball and flatten until you have 1/2-inch patties, about 1 1/2 inches in diameter. Cook for 12 to 15 minutes; turn them over so they cook on both sides. Remove the patties from the grill. 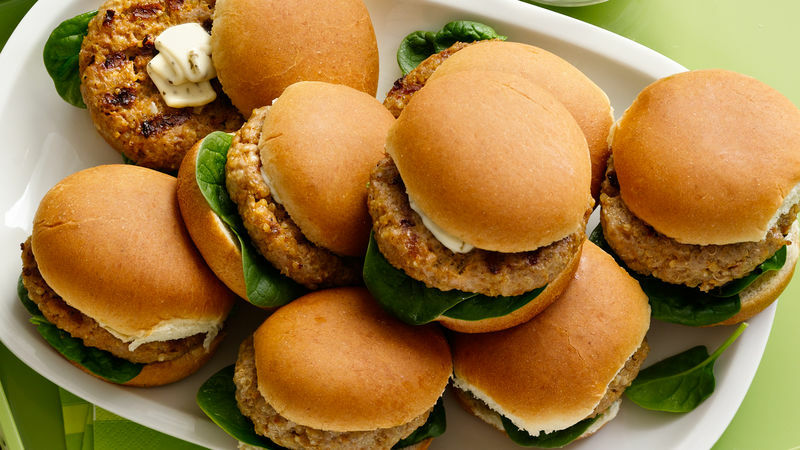 Place spinach leaves in each bun and top with a patty and herb mayonnaise to taste. You can serve this delicious burger with French fries or a green salad. If you don’t have a grill, you can still enjoy this delicious recipe. Just lightly brown the patties in a non- stick skillet that’s been previously sprayed with oil; finish cooking in the oven at 380°F for 15 minutes. This recipe was created with summer in mind, a time of year to enjoy lots of outdoor recreational activities. We stay true to our mission of gourmet-quality healthy cuisine with natural ingredients, without the use of artificial flavoring!